What is International Students Travel Health Insurance? As an International Student traveling out of your home country to Canada, your government insurance coverage does not travel with you. Therefore, since the Canadian health care services are much more expensive compared to most other places across the globe, you may become financially unprotected from the costs of an unexpected medical emergency. Canadian medical insurance for International Students is designed to cover the costs for health emergency treatment for foreign visitors, who are going to study in Canada. International Students Travel Insurance: Who Needs It? Since you are new in Canada, you will surely dedicate lots of time focusing on your studies and settling in. Yet, it is a perfect moment to ensure your financial stability with an International Students health insurance coverage, while you are pursuing your degree. – You are a full-time student at an accredited Canadian school, college, university, etc. So, unless you qualify for a provincial medical coverage in Canada, it will be a smart choice to make opting for a private travel health insurance plan for International Students, while you study in Canada. Even though health insurance requirements for International Students are not always clear, it is essential that you examine a policy booklet before making the final purchase. That is why, several trusted Canadian insurance companies we work with have come up with a travel health insurance plan that is specifically tailored to suit your healthcare needs as an International Student visiting Canada to study what you love. What does Health Insurance for International Students cover? The Canadian medical and travel insurance for International Students in Canada has its own coverage features depending on a plan of your choice. Please, note that International or Foreign Student insurance is designed to cover the costs for health emergency treatment only, with a few exceptions. Please, note that special features availability depends on an International Student health insurance plan you choose. In order to determine what a certain insurance policy offer read the Policy Wording that you can view by clicking on Plan Details button in the calculator above. – Up to $2,000,000 worth of coverage for emergency medical care and hospitalization. – Up to $5,000 in tuition reimbursement if you cannot complete your program due to an illness. – Annual Physical Check Ups. – Coverage for eligible spouse and dependent children. – Eye Examinations and Vaccinations. – Enhanced Pregnancy Coverage up to $10,000. – Coverage for Tutorial Services. You will find a summary of benefits from all Travel Health Insurance Plans for International Students coming to Canada below. International Students Canada travel health insurance plans provide a comprehensive coverage for various medical emergency procedures including dental repair, wisdom teeth removal, prescription medication, paramedical services of chiropractor, surgeon, physician, osteopath and much more. Important Notice: The summary of health benefits provided below is only a short representation of actual International Students travel health insurance coverage. Please, contact one of our Insurance Advisors to learn more about medical emergency healthcare plans for International Students in Canada. We offer you a vast variety of travel insurance plans for International Students, from basic to platinum ones that are designed to give you a peace of mind during your stay in Canada. Q: When and how should I buy health insurance for International Students? A: It is always better to buy your insurance for International Student before you arrive in Canada in order to avoid a waiting period, which could last several days. In order to make the purchase, all you need to do is to calculate a personal quote and fill out an application form. Our Insurance Advsiors will get in touch with you once we hear from you. Q: Are International Students required to have health insurance in Canada? A: Even though International Students in Canada are not required to have health insurance, it is highly recommended that you secure your finances and avoid paying for costly emergency medical services, if you ever need such assistance it. 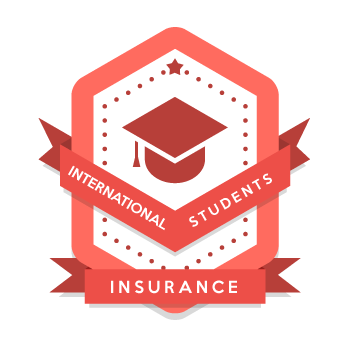 Q: How to compare International Students health insurance plans? A: You can use our free online International Students health insurance to take a look at all available plans and compare the summary of benefits of each. You should also check a Policy Wording of each plan you are thinking of purchasing in order to make sure that it cover what you need. Q: Are there any International Students in Canada health insurance requirements? A: There are no official International Student insurance requirements set by the Government of Canada. However, the best practices state that such student health insurance has to cover the essentials such as hospitalization, repatriation as well as emergency medical care. Q: Is there any International Student dental insurance? A: Canadian insurance companies that offer their travel health insurance plans to International Students, who are coming to Canada, have an emergency dental insurance supplement. Such dental insurance coverage will take care of the costs for emergency dental repair, wisdom teeth removal as well as dental pain relief up to the limit set by a particular insurance plan. Q: I am travelling to Canada to study in a high-school / college / exchange program. Am I eligible to buy international health insurance for students? A: Yes, absolutely! If you are enrolled in a high-school, college or under the exchange program in Canada as an International Student, you are eligible to protect yourself using such insurance coverage. Q: What would be the best health insurance for International Students in Canada? A: It really depends on what you are looking for in terms of International Students insurance cost, benefits, service, etc. If you are looking for the cheapest International Students health insurance, you will certainly enjoy our offer. You can use our online insurance calculator above to get a free quote as well as contact our Insurance Advisors to help you choose an appropriate plan that suits your needs. How to Become an International Student in Canada? Since you have made up your mind and getting ready to travel to Canada and begin your studies, you may want to explore the options that the Government of Canada has to offer you. There is plenty of opportunities for International Students in Canada ranging from simple English as a Second Language (ESL) programs to an undergraduate/post-graduate career in an accredited College or University across Canada. It has never been an easy decision to move away from your home and spend several years studying in a foreign country. However, what could be more exciting then exploring the world and meeting new people, while you are young and full of life! Once you have made your choice to discover available opportunities as an International Student in Canada, you will need to consider several things. > Which city to live in? > Which school to attend? > How to get a Study Permit? > Would you be working in Canada during or after your studies? > What are other required documents? In order to find out more information regarding a preparation to become an International Student in Canada, please visit the International Student’s section on the official website of Citizenship and Immigration Canada. Determining your eligibility in order to travel to Canada as International Student is the next important step after you have started to gather more information on the topic. – Provide a Letter of Acceptance from a Designated Learning Institution in Canada. – Present a proof of sufficient funds to cover the expenses for living in Canada, tuition fees and transportation to your country of permanent residence. – Have no criminal record and be allowed to enter Canada. – Be in good health and complete a Medical Examination. – Leave Canada by the end of your allowed stay. Having determined your eligibility and received all necessary documents, you may begin the application process for a Study Permit that will allow you to stay in Canada as an International Student. Note that depending on your country of citizenship, you may be required to obtain a Temporary Resident Visa (TRV) to enter Canada in addition to a Study Permit. After you have submitted your application for Study Permit, you may be wondering what are the next steps on your way to come to Canada as an International Student. If your application is approved, CIC will send you a Letter of Introduction, which you must show to a POE Officer at the Canadian border to receive your actual Study Permit. If your application is not approved, you will be receiving a Letter of Refusal with a a reason why your application has not been approved, so you can re-apply later again providing all needed documentation and following the official guidelines to minimize the risk of future refusal. The last step on your way to become an authorized International Student is arrival in Canada. It is very important that you carry all necessary documents with you at all times as you will be asked to present them at the point of entry to Canada. Important Notice: If you are carrying CAD 10,000 or more with you, you have to notify the CBSA Officer and declare the amount of money in writing. Failure to comply is considered a law violation. The last thing is a health insurance plan for International Students coming to Canada as neither the Government of Canada nor the learning institution you are accepted into are responsible for the medical treatment expenses incurred while your stay in Canada. Therefore, it is your responsibility to examine your health insurance options for International Students in Canada and protect your finances against the high costs of medical services. Important Notice: The comparison chart of insurance benefits for International Students in Canada is only a summary of what is included in each insurance plan we offer. In order to see a full list of insurance benefits, please read the Policy Wording for an insurance plan of your choice.